“I’ll be back!” Arnold said it, and he is. 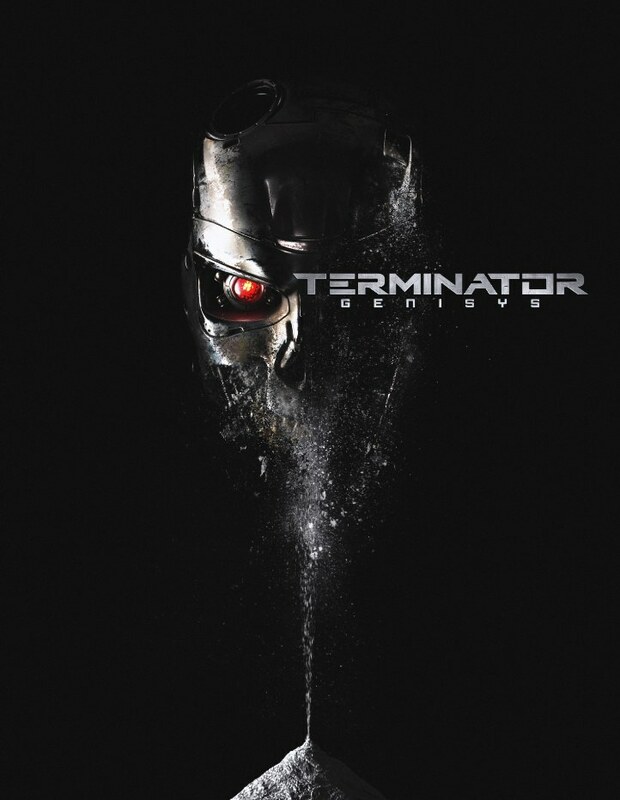 Returning to his roots for Terminator: Genisys, Arnold is back to re-portray his most iconic and memorable role; the time-traveling killer robot from the future. Everyone loves to see Arnold in this role as he does it best. However, is Arnold’s star-power enough to revitalize the previously dead franchise? Typically I like to voice my opinion of movies in great length on Dadtography. However, I have been a huge Terminator and Schwarzenegger fan since childhood so, in lieu of that, I will keep my review of Terminator: Genisys short in hopes that it will not affect your decision to see the movie too much. To do so I will only discuss the cast and my thoughts of the film. Arnold Schwarzenegger: Everyone already knows Arnie and they know what he is capable of on screen. Personally, I love the guy. As I said I have been a huge fan since childhood. That said, is his acting the best? Not so much. Sadly, his most memorable role in movies is that of an emotionless, killer robot. This does not leave many opportunities to show his talent. Regardless, nobody can play a T-800 like Arnold and that is still true today, 30 some years after the original. For his part, he still plays this part perfect. Emilia Clarke: The “Queen of Dragons” from the hit tv show, Game of Thrones, is our new Sarah Connor. For those unfamiliar with the character, Sarah Connor is the mother of the John Connor, man who leads the resistance that ultimately stops the machines (and terminators) from completely killing mankind in the future. Jai Courtney: The Aussie actor who is usually seen playing a villain is now playing a good-guy in the role of Kyle Reese. In the story, Reese is a soldier from the future who gets sent back in time to protect Sarah Connor from a Terminator whose purpose is to kill the mother of John Connor. **he will be playing Captain Boomerang in Suicide Squad by Warner Bros/DC Comics. Jason Clarke: Another Aussie actor, he is best known for his parts in Zero Dark Thirty and Dawn of the Planets of the Apes. In regard to the Terminator franchise, He plays John Connor, humanity’s hero in the future world run by the machines. **there are a few other actors who do have fairly large roles in the movie however, these are definitely the “big guns” and for sake of keeping this short I will not discuss them. They will just be a surprise for you if you see the movie. I feel like the movie succeeds in keeping the audience entertained. It’s got the “high octane” feel that I love about big summer movies. It has plenty of action sequences and does a pretty good job incorporating humor, most of which was at Arnold’s expense. It does have a few good special effects scenes and a few classic lines. Arnold definitely steals the show. When not on screen, the film seems to fall. He is most assuredly the best part about the movie. Where I enjoyed the movie, it did not leave me fulfilled. It didn’t capture the same feel that I hoped for to reinvigorate the franchise. I was hoping for something more along the lines of the original or its sequel. The original Terminator movie was incredible. The constant chase of the killer robot made it feel like a horror movie with a lot of action. Its sequel, Terminator 2: Judgment Day, felt less like a horror film but fully excelled as a great action movie with amazing special effects. Okay, so keep in mind that I already mentioned that I have been a Terminator fan since childhood. That being said, how was Terminator: Genisys, you ask? Well, it’s a good movie, but it’s not a great movie. For my taste, it is an entertaining summer movie, but won’t be winning any awards for excellence. It’s not the most well written movie I’ve ever seen but, it doesn’t have to be either. All I wanted was a great Terminator movie that either felt like the Terminator or Terminator 2… or something that would blow my mind and rekindle a beloved sci-fi franchise. Neither happened for me. Did I enjoy the movie? Yes. As I mentioned, it was a good movie, but not a great one. Does it kick-start the franchise? It could. (Here is where we ask James Cameron to return to his roots and do another sequel… haha). Will it get a sequel? Most likely. Almost every summer movie is made with that in mind. Regardless of my opinion (and it is just an opinion), it’s a summer movie time. I always recommend getting out and seeing the big-budget movies. This is no different. So get to the movies! Anyhow, thank you for reading. Be sure to stop by and read my next review.